Alrighty. So the saga of the stripy Mabel skirt continues... You may or may not recall that I made a knee length version in this black and white synthetic double knit back in January. I was concerned that it was too tight and too long, and would end up getting constantly over-looked when deciding what to wear. I was debating about what to do about it; do I simply shorten the version I'd made or to I remake the whole damn thing adding width to the thigh area? I forced myself to wear it a couple of times and came to the conclusion that it was definitely too tight and not enjoyable to wear. Taking the hem up a bit wasn't going to be enough to make it something I'd reach for regularly, so I found the remnants of the fabric and cut myself out another, shorter version (though not as short as the pattern's short version) with about 1.5 cm added to each side seam around the thigh. I was able to unpick and reuse my take one's waistband and facing which made my take two a little quicker to construct. So how does the second version fare? It's definitely better. I've worn it a couple of times and it doesn't feel restrictive anymore. I'm not in love with how it sits on the waist though. Perhaps it could be improved by tightening it up a bit or even exaggerating the curve of the back waistband, but I feel that those potential solutions would make getting it on and off difficult. I can't help but think that eliminating the curved waistband idea entirely and creating an elasticated waist would feel generally more secure. 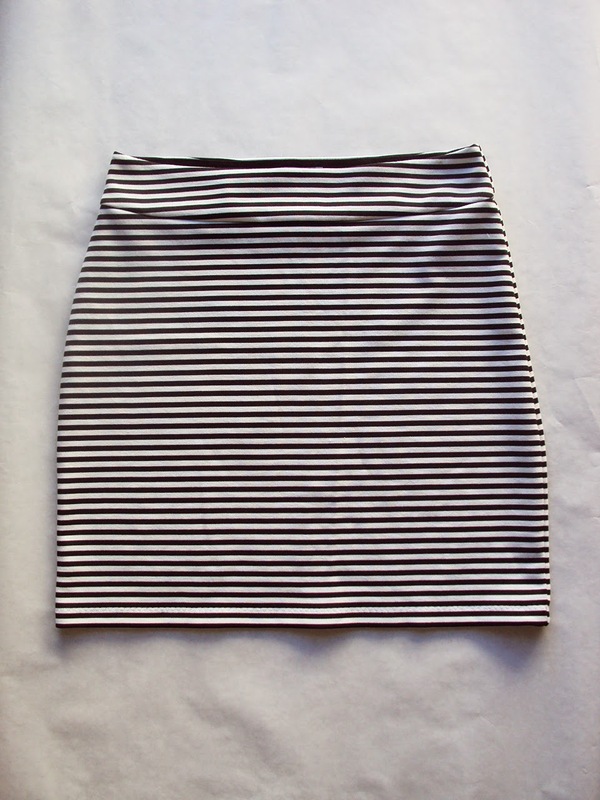 Although this second version is much better than the first and will see some wear for sure, at present it's still not the comfy-as-wearing-T-shirt-round-your-bum plan I had in mind for a knit skirt! Ideally I was going for something I could wear to play groups and mess around in without a second thought, but I do find myself somewhat conscious of this skirt (as I feel in all skirts to be fair) and have to readjust how it is sitting from time to time. I don't think I'll make another Mabel skirt, but at some point I may use it as a basis to draft an elasticated waist knit skirt pattern, which is probably what I should have done in the first place. I'm sorry that I wasn't able to get a pic of the second version actually being worn. 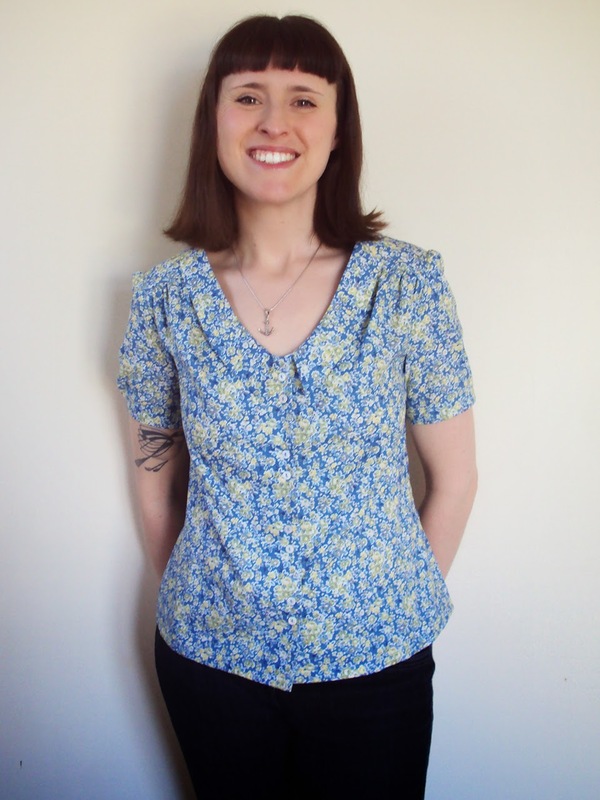 Trying to get one actually delayed me in publishing this post, but with #mmmay15 just round the corner, I figured you'll see it worn (hopefully!) soon enough to get an idea of the fit! Well, I wasn't going to waste the first version of this skirt, was I?! Using my go-to baby/toddler Playful Kitty leggings pattern, I cut the biggest size (size 92) as I wanted to get maximum use of the remaining fabric after the waistband had been removed. Dolores probably won't fit these for at least a year, but that's totally fine as I've made heaps of leggings for her for the nearer future, and have plans for many more pairs of stretchy bottoms in the pipeline. I attempted to make this version of the leggings pattern more interesting to make for myself by adding these appliquéd heart knee patches. 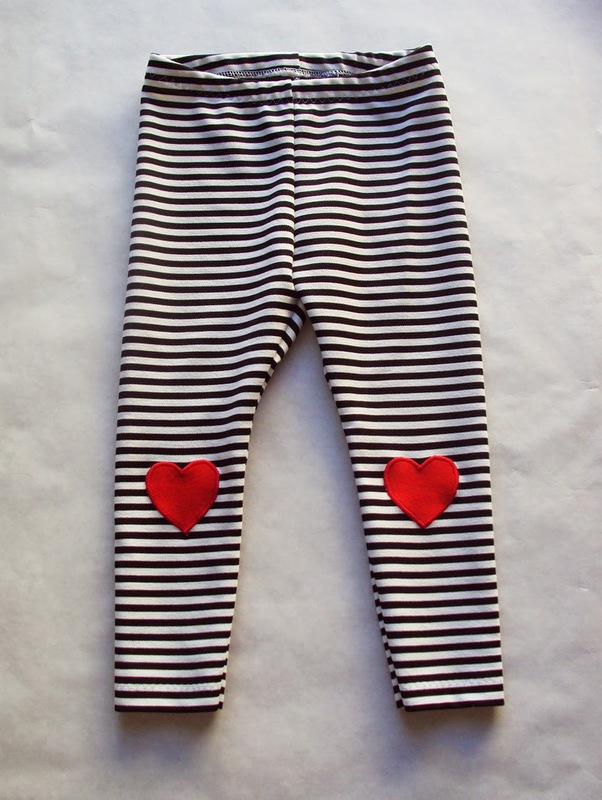 The hearts are made from tiny scraps of the T-shirting left over from the retro running shorts and are adhered to the leggings with double sided bondaweb. Usually when I do appliqué, I fuse some interfacing to the back of the area before satin-stitching round the edge of the shape, but I skipped that step this time as I didn't want to make them restrictive with too much bulk so that she can't easily bend her knees! 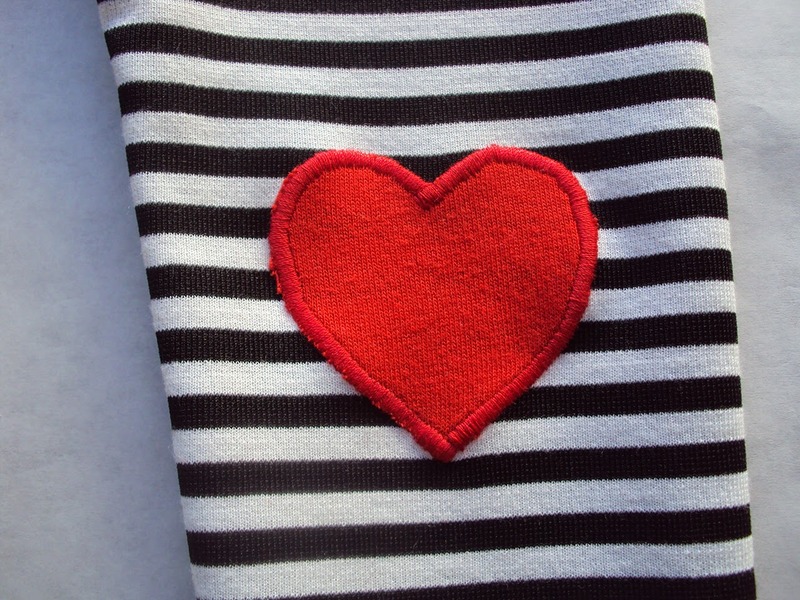 It meant that the hearts looked a bit wavy and not as flat as they would do if I'd applied interfacing, but a good old press with the iron elimated most of the wobbly effect. Who doesn't like free stuff?! I know I do! Especially when the free stuff in question is sewing patterns. A lot of pattern designers release free products and I'm guessing for a variety of reasons. Some do it to showcase their drafting and instruction writing skills, some want to garner Facebook 'likes' and newsletter sign-ups. And some do so just to get something 'out there' without the extra pressure that would be heaped on top if the products were to be bought (which was very much my own motivation when I released my free patterns). 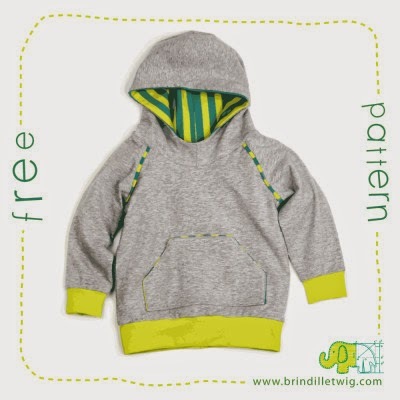 Having been crushing pretty hard on Brindille and Twig designs recently (see my independent children's sewing pattern post here), I was thrilled to learn that they had released a free pattern for download. Particularly because I really can't justify buying any new patterns at the moment whilst I have so many children's sewing patterns already in my possession that I haven't used yet and cash is tight at the moment, in no small part due to the recent demise of my last sewing machine and the purchase of another. 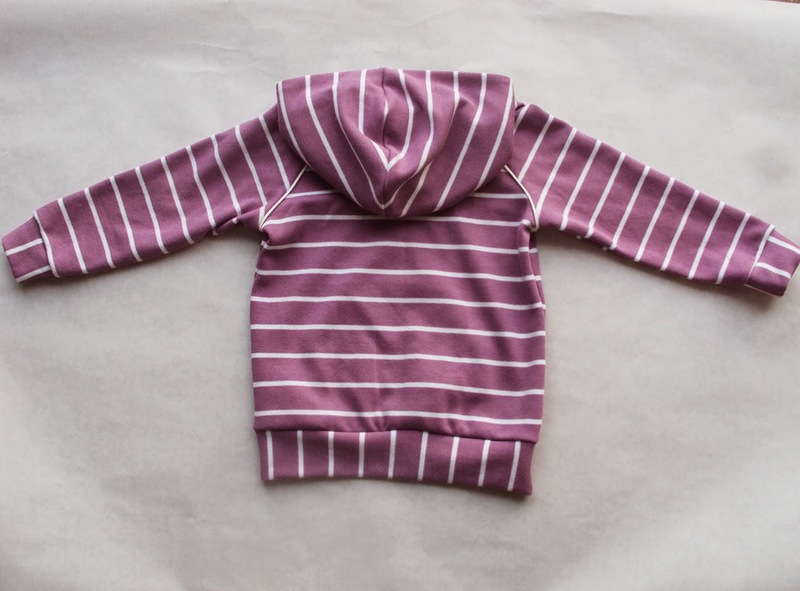 The free raglan hoodie pattern is great because it'll look super cute on both boys and girls. 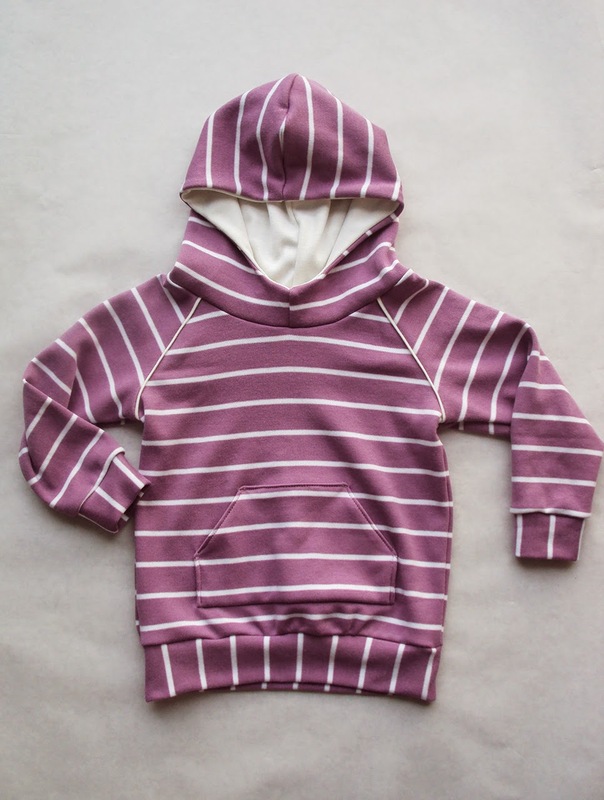 The options for clever combinations with contrast cuffs and hem bands, hood lining, sleeves and shoulder seam detail are near-endless so you could make this pattern up lots of times and it always look like an entirely different garment. I was thoroughly impressed with both the drafting and the instructions. The latter were as clear, bright and easy to understand at the website lead me to expect. I made the size 90, which indicates the height in cms and is meant to correspond roughly to 18-24 months. Dolores is almost 18 months now but I was expecting it to be way too big as she measures 81 cm at the moment. I was happy with that as I thought it would be fine for her at the end of the year going into autumn, however it actually fits her well now. I used my regular sewing machine to apply and topstitch the front pocket and to baste on the shoulder seam detail strips, and my overlocker for everything else. It was a little more involved than my usual knit projects for Dolores, but that was almost entirely because I was trying to match the stripes at various points. One negative thing I have to say about this pattern is that the seam allowance is a scant 6 mm / 1/4". I would have liked it to be at least 8 mm, preferably 1 cm, as I think that would have made including the shoulder seam detail easier and in general I like to shave off a bit when sewing with my overlocker rather than trying to position the raw edges so that nothing gets trimmed away at all. I also think such a tiny seam allowance might be make a beginner sewer balk a bit when otherwise it's a pretty easy, beginner-friendly pattern. 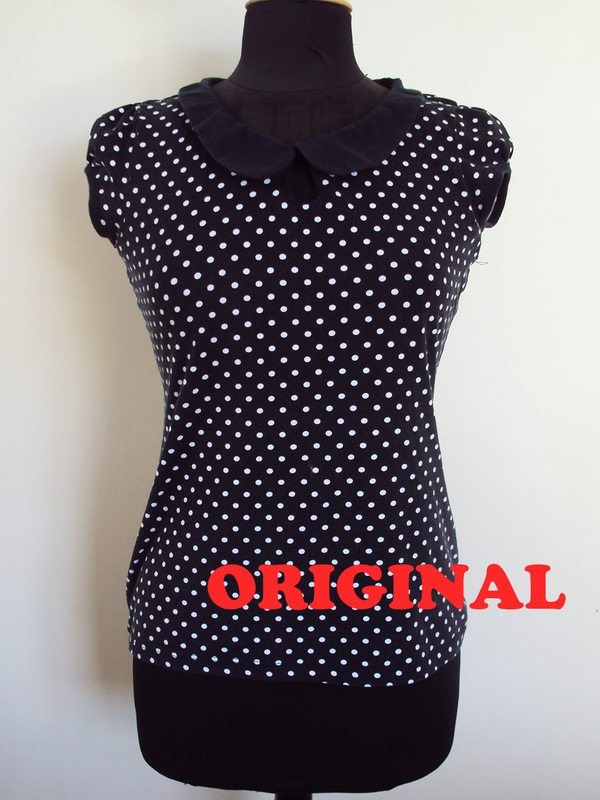 The pattern recommends this pattern be made in medium weight knit fabric, like cotton/lycra jersey or french terry. In that case I assumed regular sweatshirt knit would be too thick and bulky, but personally I didn't feel a jersey would have the right look or weight for a hoodie. I'm happy with the compromise I found in this organic cotton interlock. 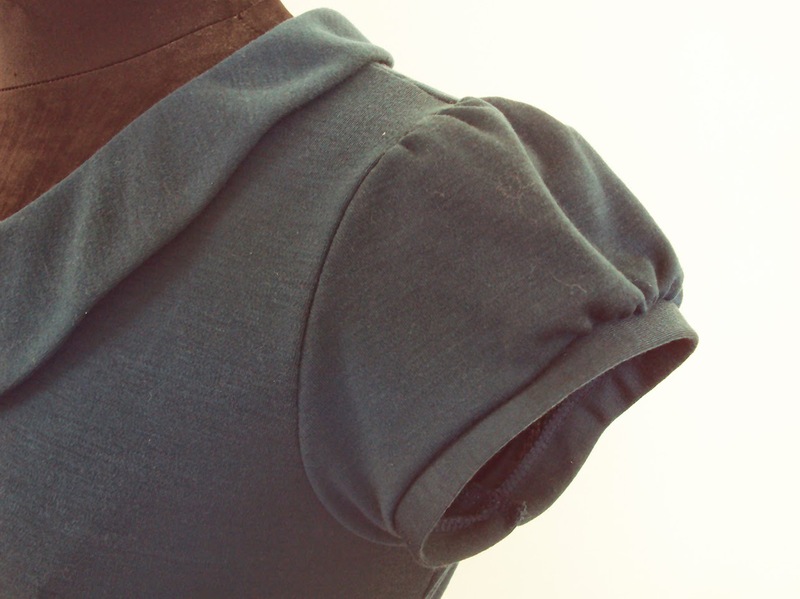 Interlock knit is effectively twice the thickness of jersey but behaves in a similar way. 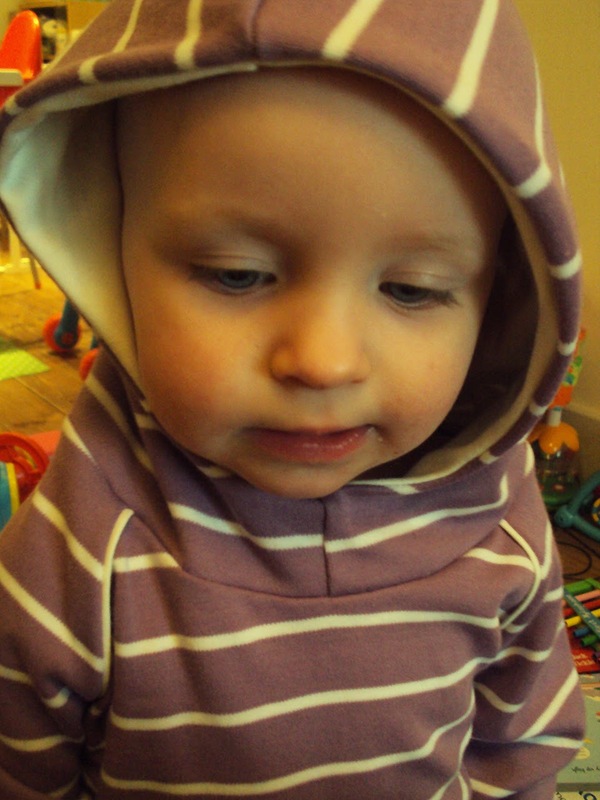 It has the right look for this little hoodie but with the correct amount of stretch required by the pattern. 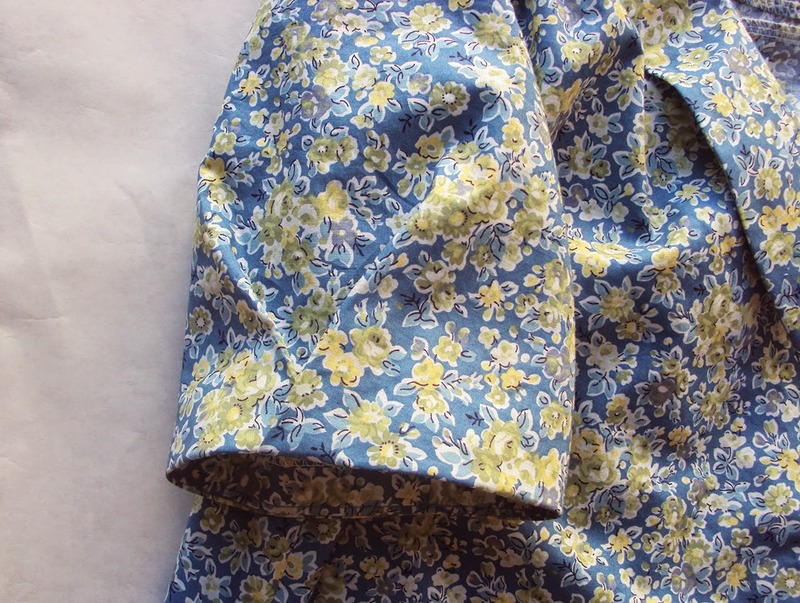 I had a small piece in my stash left over from making a Moneta dress for Annie, owner of the Village Haberdashery. They don't seem to have it in stock at the moment, but you can see it on their website here, and they have similar available. 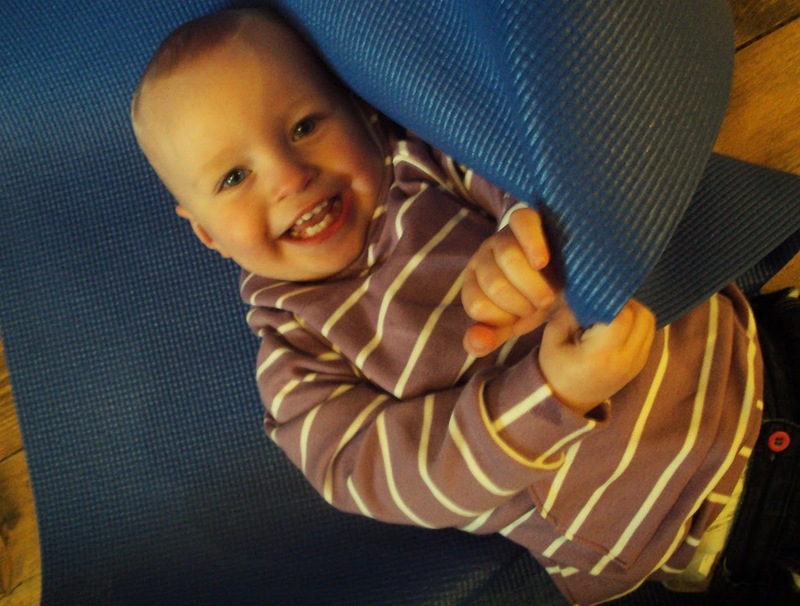 This organic interlock is ridiculously soft and cosy. 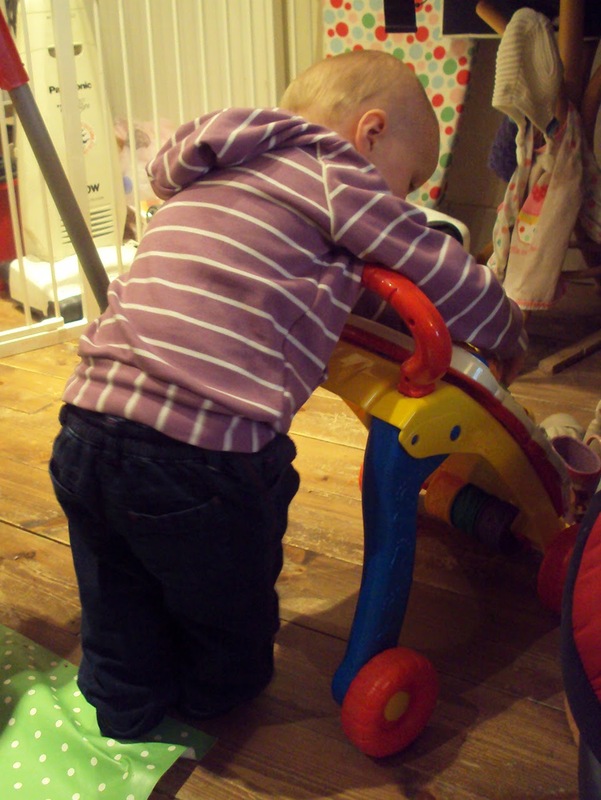 Having already made a pair of leggings for Dolores in it, I knew that it would be appropriate for children's wear, but I also knew that it will grow a bit as the garment gets worn and laundered as it has no lycra/elastane/spandex content to keep it taut. Knowing that this hoodie is going to get a bit bigger over time and usage actually feel like a plus in this instance, as the hoodie's lifespan will increase as it grows along with her for a while! 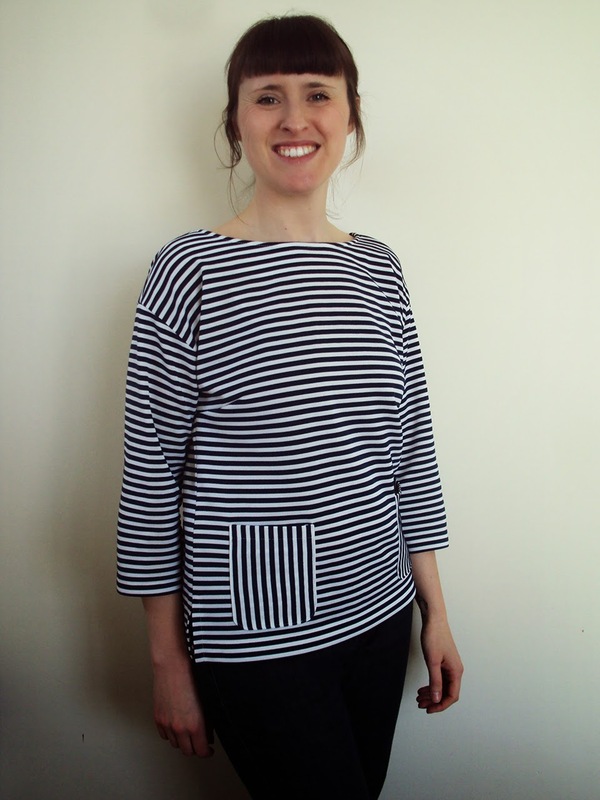 Matching the stripes at the side seams, on the pocket, across the hood curve and a bit at the shoulder seams gave me a mild headache, but it was worth it for a nice, neat looking that my mother-in-law said 'looks like something you'd buy in the shops'! Keeping the organic theme going, the hood lining and shoulder seam detail strips are made cut from some cream jersey (actually it may also be interlock know I think about it) from Offset Warehouse that I was given to try out for free last year. It's the same stuff I used to make this breast-feeding friendly Coco top and these fancy pants. The pattern suggests cutting the cuffs and hem band from rib knit or 'other stretchy stuff'. 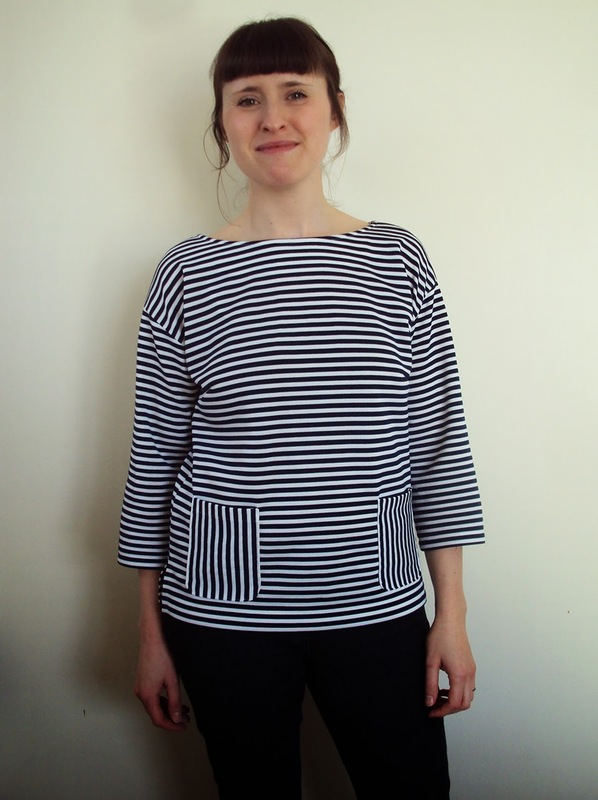 I decided to use the same stripy interlock but with the stripes going in the other direction. The cuffs actually came out quite a bit tighter than I was expecting and I was prepared to remake them a bit wider, but once she tried the hoodie on I found that they are actually fine. In general I love this pattern and the finished garment I made for Dolores. But for a fully balanced review I will share all my niggles, even though they are pretty tiny ones. So, aside from the seam allowance issue, I also think the neck hole is a bit too wide. If I am making the next size up next time, I will probably still use the neck hole and hood from the size 90. I will also stitch a row of stay-stitching around the neck hole just incase any stretching occurs and baste the hood onto the neck with my regular machine before going over the seam with my overlocker, incase I stretched it out a bit by stitching the hood on only with my overlocker as the instructions directed. I also think the shoulder detail strips should have been a tiny bit wider. It annoys me that they are slightly narrower than the white stripes of the interlock. This is my fault for cutting the too narrow, but it was also hampered by trying to attach them within the tiny 6mm seam allowance. But as I say, overall I'm extremely pleased with this make. Plus I'm happy to have acted upon my recent musings that I need to stop making Dolores light-weight clothing and summer dresses and instead focus more on things that she will not be restricted in at all and are more suitable for our climate. 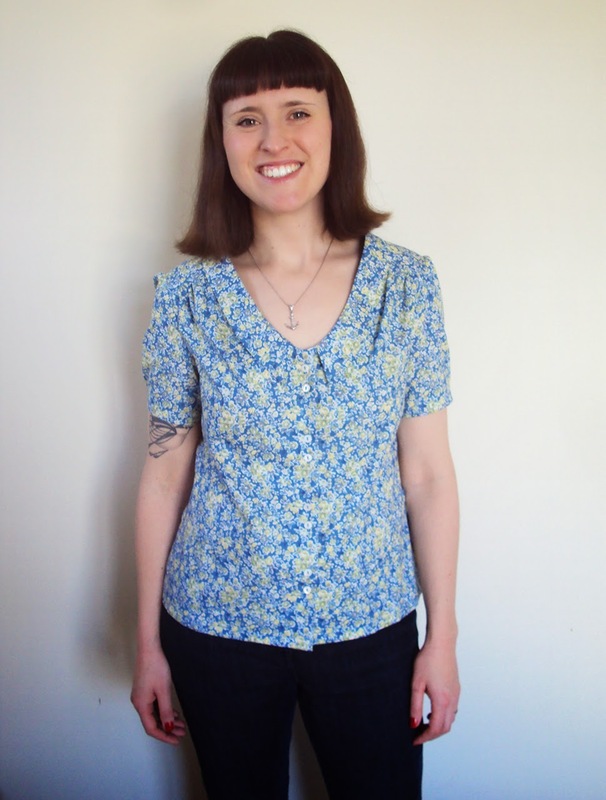 I'm very grateful to Melissa from Brindille and Twig for sharing this pattern for free. I was more than happy to hand over a Facebook 'like' and sign up to the newsletter in exchange for it! I'm sure I'll make many more of these in the future when appropriate fabric comes onto my radar. You know me, I usually prefer to make/wear vaguely retro style clothing, and I've been thinking about moving in a slightly different direction from my usual inspiration points. 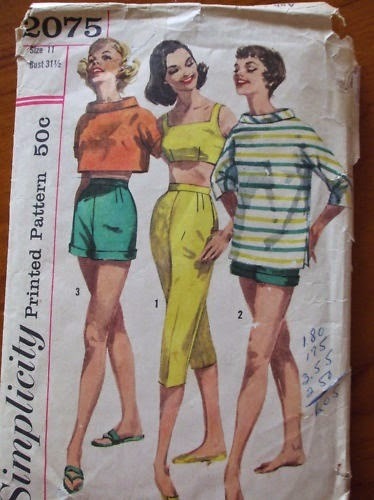 For a couple of years now I've been inspired by looser, boxier fitting tops from the 1960's, like the garment on the right of the pattern illustration pictured below, but haven't done anything about it. Until now, that is. 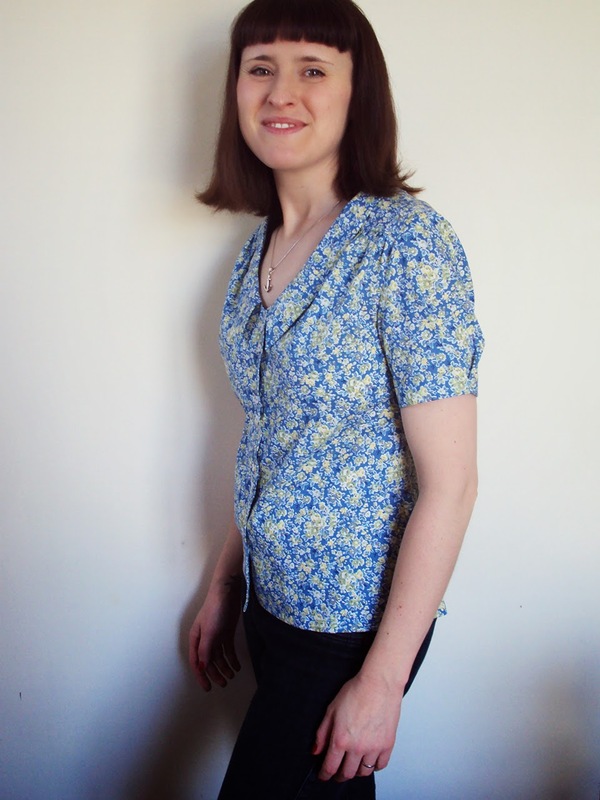 This style top looks excellent with skinny jeans and capri pants, and seeing as I already live in the former and would like to wear more of the latter, I knew this type of top would fit in with what I've already got going on. 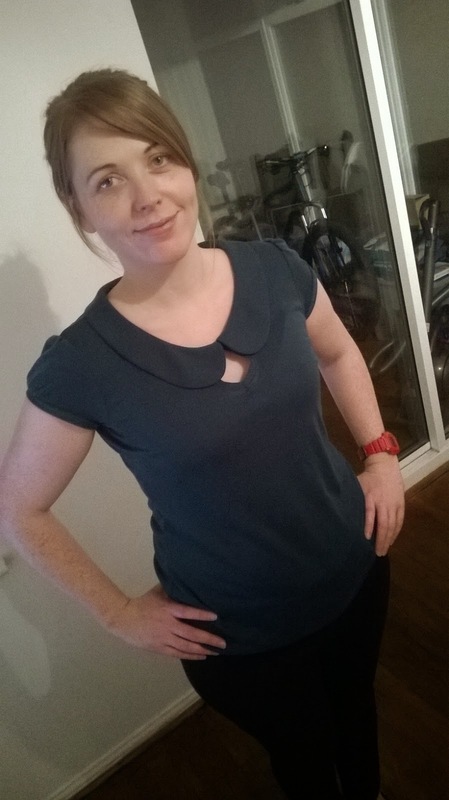 I've had Simplicity 7023 (pictured below) lurking in my stash for yonks. In fact, I can't remember when or where I bought it, but I wouldn't be surprised if eBay was involved. The overblouse design has got the right silhouette for my needs: boxy but not baggy. Plus I love the bateau neckline and extended/dropped armhole seam. 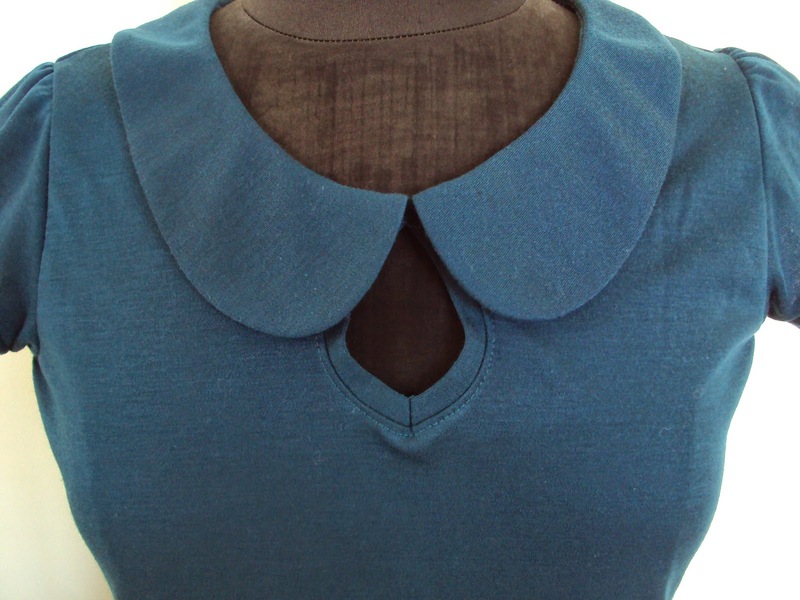 I toyed with the idea of making a roll collar to create more of a look like this or this. But to make a garment with maximum usefulness, I knew it needed to fit easily under a cardigan, jacket or a coat so I went with the pattern's original neckline. I made a few modifications to the original pattern. The major change I made was to eliminate the centre back seam and fastening. I measured the neck hole on the pattern first to make sure I wouldn't have any trouble in getting it on and off, then cut the back piece on the fold instead. I also made the hem a bit wider to accommodate my hippage, plus added side splits because I really like that detail on these kinds of tops. I altered the sleeves too, but I can't remember exactly in what way, perhaps making them a bit narrower and shorter at the hem? And of course I drafted some simple patch pockets that would allow me to alter the direction of the fabric for a bit of interest. One more thing I did that turned out to be completely pointless was to drop the bust darts by about 2 cm to reflect my shoulder-to-bust point measurement. 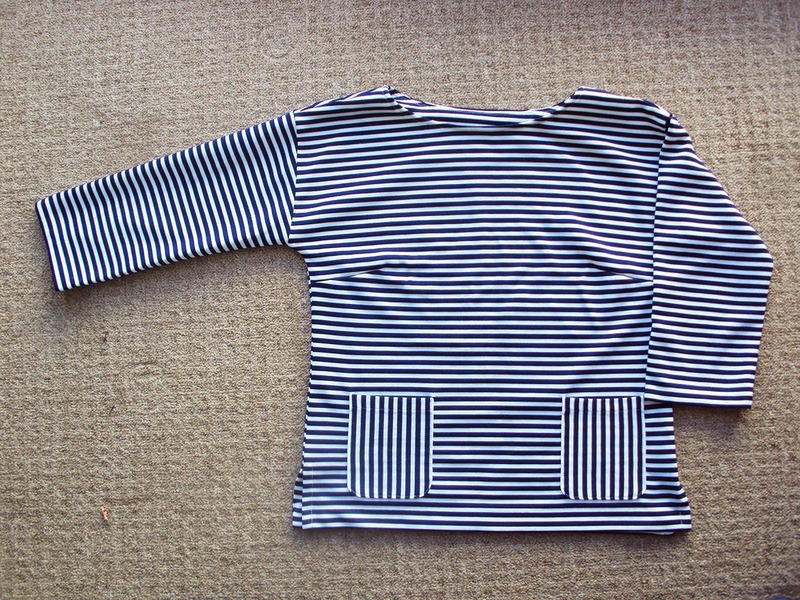 This navy and white stripy, synthetic double-knit-type-stuff has been burning a hole in my stash for a few years. I've had so many ideas for it that I was kind of paralysed by indecision and it languished in there unused. When I first acquired it (I got it second hand, it could well be from around the same time as the pattern!) I was erring towards making a dress, perhaps something fit and flare like this, or more of a shift dress shape like this. Then, I started imagining spring coats and jackets, perhaps along the lines of this. Eventually reality kicked in and I figured out that I probably didn't have sufficient quantity for any of those plans, and a top would be far more practical and useful for me anyhow. The navy stripes in the fabric have a raised texture which made pattern-matching at the side seams a nightmare/impossible, so I brushed my shoulders off and moved on. The fabric doesn't fray so I stitched it using my regular sewing machine and left the edges raw. Not much else to report I don't think. Umm, I've not exactly been subtle so far about my thoughts and feelings towards this top! I freaking love it and that's all I can say. As soon as it comes out of the wash it gets put on again. I'm not sure quite what I'm going to do during Me-Made-May, because I keep wearing it with the charity-shopped skinny jeans as seen in these pictures, and I'm not sure I'm going to get a chance to make some myself before then. Hmm... just one of the many challenges to figure out during May I guess! So, what's the best garment you've made to date? Listen up peops! If you'd like to take part in the Me-Made-May challenge this year, the sign ups will begin in a couple of weeks. You'll be able to sign up and specify your personal pledge between 1st April and 30th April. So head back here then (if not before!) to find the signing up post with FULL details on the hows and whys of participating. What have you made that doesn't get worn? Why don't they get worn? What things do you currently wear the majority of the time (be they self-stitched or shop bought)? What clothes/outfits make you feel comfortable? What clothes/outfits make you feel special? What clothes/outfits make you feel 'you'? If you've participated in these challenges before, what did you learn from completing your previous pledge/s? I really look forward to reading all your pledges from 1st April, whether you have participated in these challenges in the past or it'll be your first time! Here's to #mmmay15. 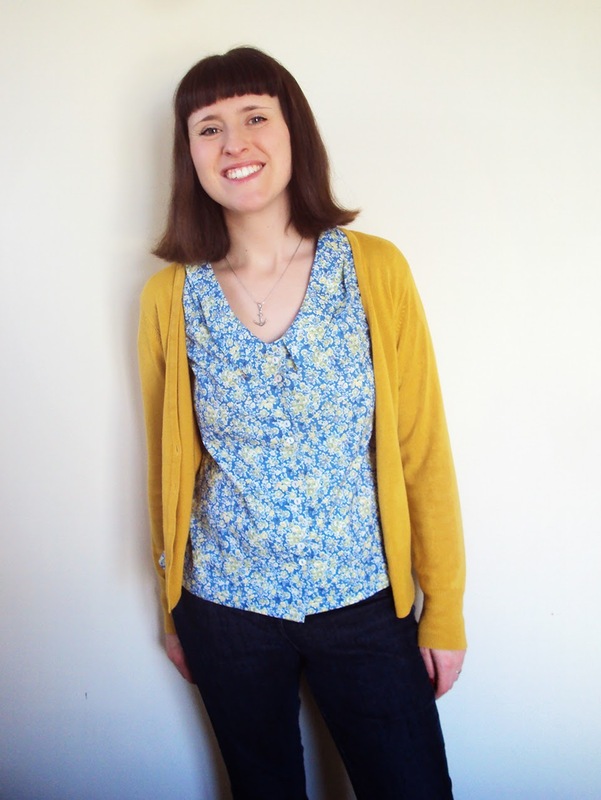 Amanda from Kitschy Coo is a rather awesome knit fabric purveyor as well as pattern designer/seller. I had to look at her online shop through my fingers to try and avoid being tempted to buy some of the incredible printed organic cotton jersey. Check out: She's developed some wonderful patterns for women and children, the Lady and Little Girl's Skater dress patterns being particularly popular. However, if I'm going to do some spends on any of them, and I most likely will, it'll be for the Boy cut unisex brief (pictured above), entirely due to Jenna's amazing versions and her daughter's approval of the fit. Rae is the design genius who came up with awesome Washi dress pattern, that must have saved sooooo many preggers women since it was released (myself included), Rae has also release a some children's patterns (as well as designed some pretty awesome fabric prints for Cloud 9, which I learned by hanging out at the Village Haberdashery). 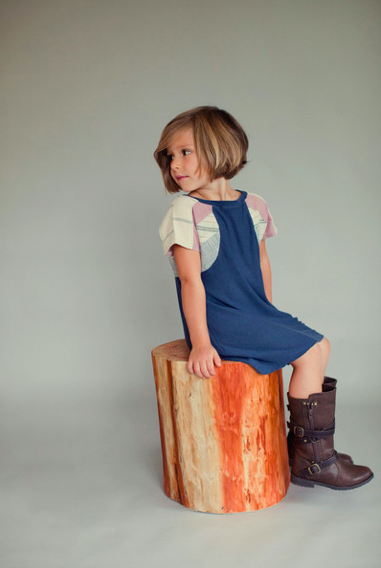 Check out: The Geranium dress pattern (pictured above). 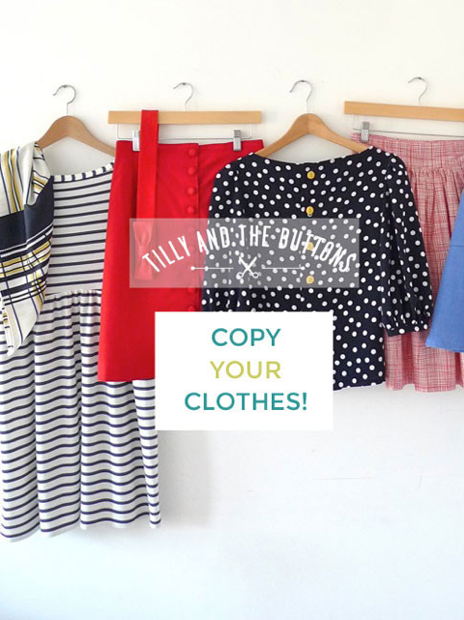 Yes, one pattern can make all those different looking garments. I told you she's a freakin' design genius! 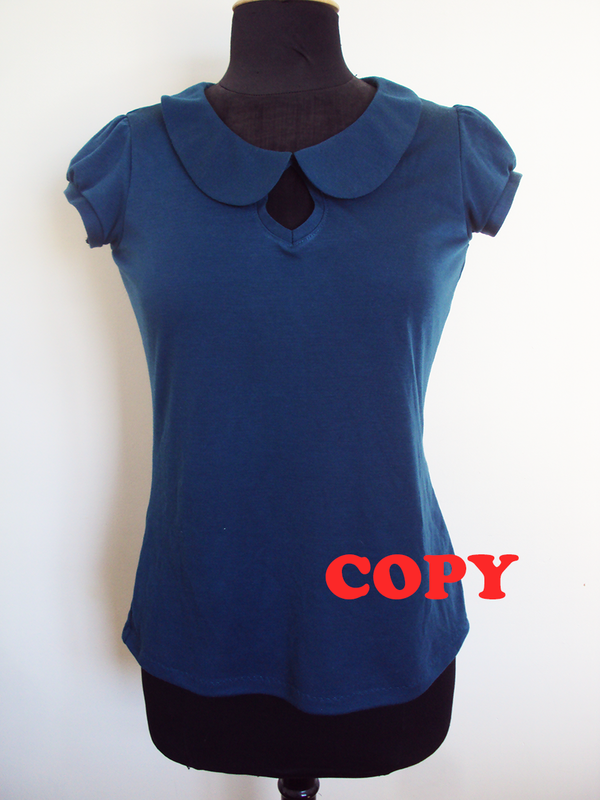 The pattern includes heaps variations for different lengths, necklines, sleeves, gathering etc. That is some serious value for money right there and as soon as I get round to making some of the patterns I bought during a recent splurge, I'm going to chuck money her way to get my hands on a copy. 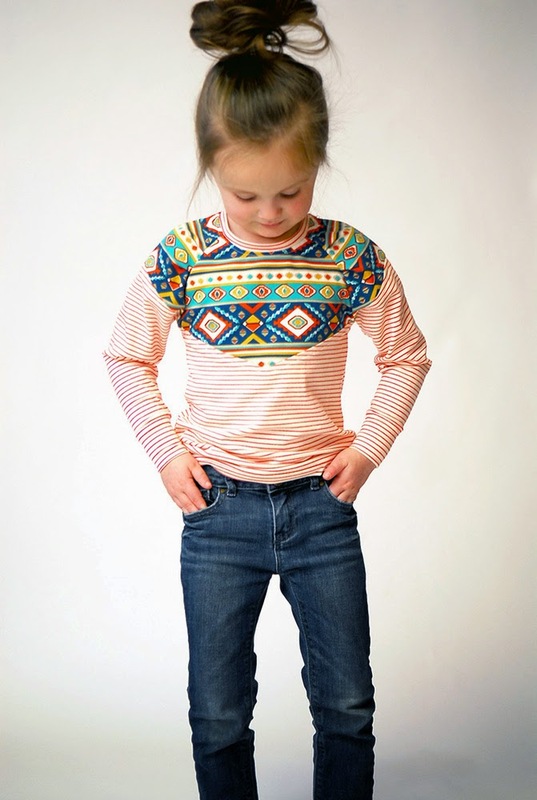 If your ideal of kids clothing is comfortable, quirky and contemporary, then you need to check out Misusu patterns. All their designs have really clever features and details paired with interesting silhouettes. This brand is unique, and I wish I was even a fraction as good at putting colours together as this designer is. Check out: the Bruno cardigan (pictured above), among many of their designs, encourages experimentation with fabric and colour combinations. I'm also big into the Lotte dress and tunic pattern which cleverly creates the illusion of separates. 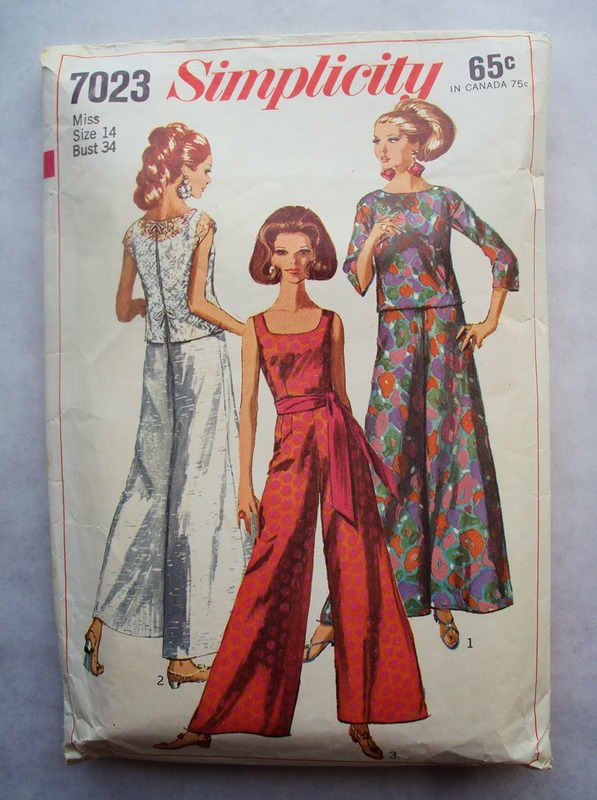 If you haven't seen their patterns before then you can't be into sewing and I don't know why you're reading this blog. Go away. I'm joking, I'm joking, come back! Maybe you just hate kids... Another joke, I promise. Don't be so sensitive. In short: Oliver + S are to children's sewing patterns what This American Life is to podcasts: better quality, more prolific, and deservedly very successful. 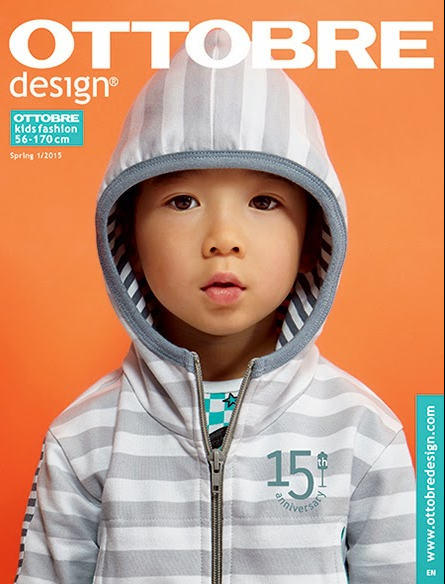 If you aren't into PDF's then you're in luck because Oliver + S patterns are available in both digital and paper format. And from my experience of them so far, their instructions are excellent. Check out: Their range is ridiculous. So many wonderful patterns it'll make your eyes water (figuratively, otherwise you should probably turn down the brightness on your screen). I already own four or five Oliver + S patterns, but another that I certainly aim to get my mitts on in the future is the Sailboat Top, Skirt and Pants/Trousers pattern (pictured above). I think I'll get it in the larger size batch (4-8 rather than 6 mths-3) so I can make the most of every size included. This crew actually produce patterns for girls, boys and women, and have clearly been busy because there's heaps of them! 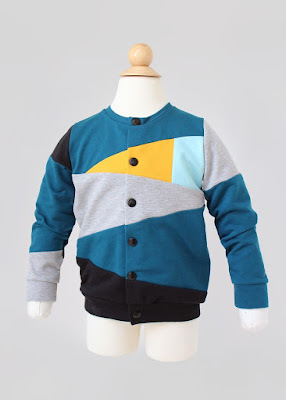 Their products seems really lovely, I especially like how many of the kid's patterns are unisex. Check out: there are quite a few I'm tempted by. 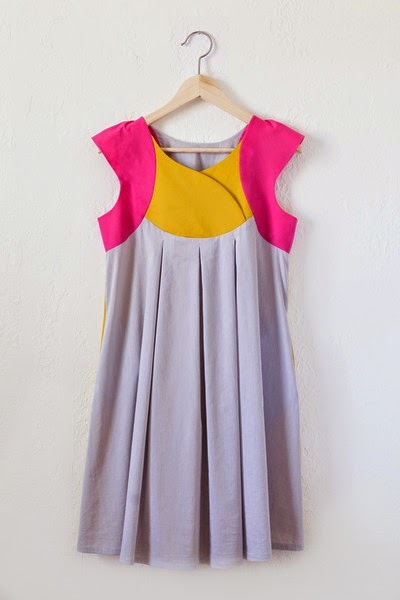 The Lucille top which is pictured at the top of this post looks like a fun pattern for using up colourful scraps of jersey. 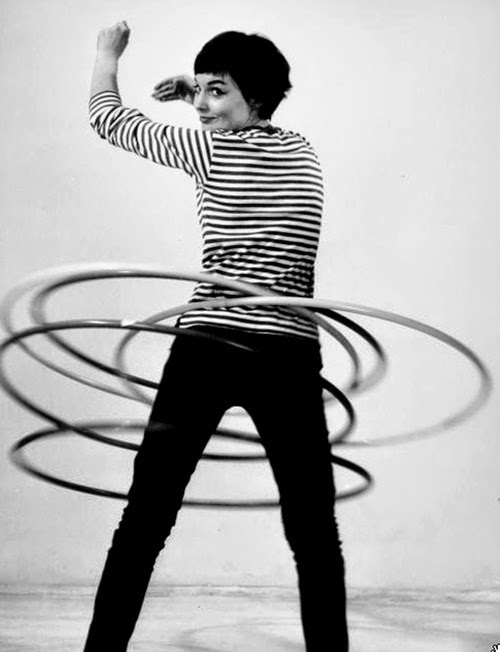 Plus I imagine there's many a little girl who would go crazy for a Georgia Twirl top/dress (pictured above). Too Sweets patterns came onto my radar when I took part in the blog tour for the little girl's Perfect Pattern Parcel by making their September tunic/dress pattern. It was an enjoyable make, and having just a nose at their Etsy site, I can see there's some other lovely options. However, as someone who lives in a more temperate climate, I think it's clear the designer lives somewhere pretty warm (Arizona) as there's not really any cooler weather garment patterns in this collection. That's something I've been thinking a lot about recently, as I find I'm making Dolores heaps of lovely things that will see her through for the warmest part of the year, but for the chilly part (i.e. the majority)? I'd best get re-thinking my next few sewing projects, or start hitting the charity shops even harder than I already do! 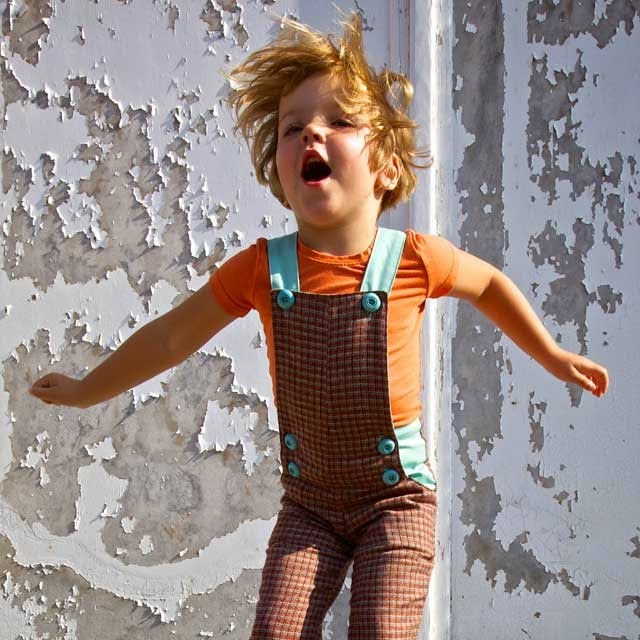 Check out: I reckon the Roo Romper pattern would be ace for fully potty-trained kids. No way I'd make it before that point though. You know how long it can take to get out of a playsuit when you need a wee! So what's unusual and very cool about Willow and Co, is that they are a design collective. Five women for the price of one! I really love the idea of a collaborative effort like that, hopefully a super-supportive and no-egos type thing. Obviously there's the Big Four children's patterns offerings, many of which are quite nice and some are full of potential, if you can overlook the super-traditional fabric choices and styling. You could try to scout out some fantastic vintage children's patterns on eBay or wherever. Then of course you've got pattern magazines (Ottobre Design magazine being the most awesome), which can work out great value if you like several of the designs in an issue. And finally, and for me most excitingly, there are a whole host of independent children's sewing pattern companies. Basically, it's just like the world of adult sewing patterns in terms of sources. Who knew?!? So today I want to start talking about the indies. I've only just scratched the surface but initial research suggests that there are loads. And more seem to be appearing almost every day. There's even a flashy online magazine called Stylo dedicated to them! As you would expect, the independent companies often offer less traditional styles, more like the kind of things most parents actually want their kids (or even themselves, some are that good!) to wear. Something I love about these companies is that many/most of them seem to be run by mums from their homes whilst looking after their own kids, and selling their designs through their own sites and blogs or via Etsy. 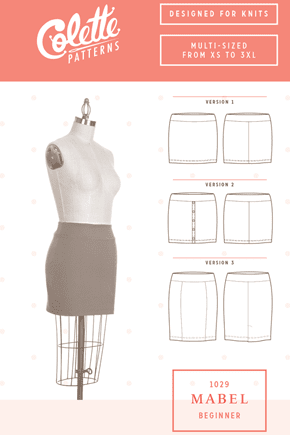 If, like me, you are new to this subsection of the sewing pattern world but would like to investigate further, here's Part 1 of my little guide to some of the companies that are well worth a look, with Part 2 coming in a few days time. Please note: due to the fact that I have a daughter rather than a son, I've highlighted a few more patterns for girls' clothing than for boys'. Plus I have to say that, just like the adult sewing pattern world, there sadly seems to be far more choice of products for females than males (boys-and-unisex-only company Titchy Threads being a great exception). 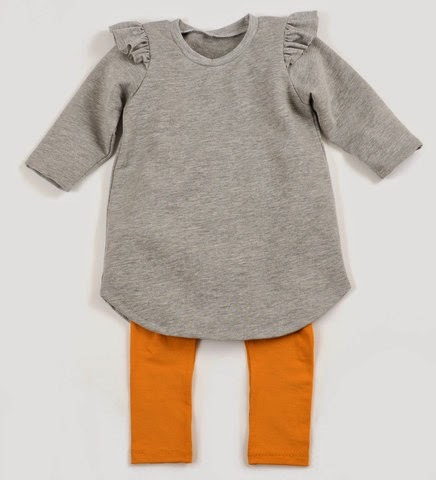 You can tell that designer Melissa Hendrickson is a mum herself designing with her daughter in mind because the entire collection is, or can be, made in jersey! The majority of these patterns are unisex and the vibrant fabrics used on this site brings a real sense of fun, and I feel that that is what sewing for kids really should be about. 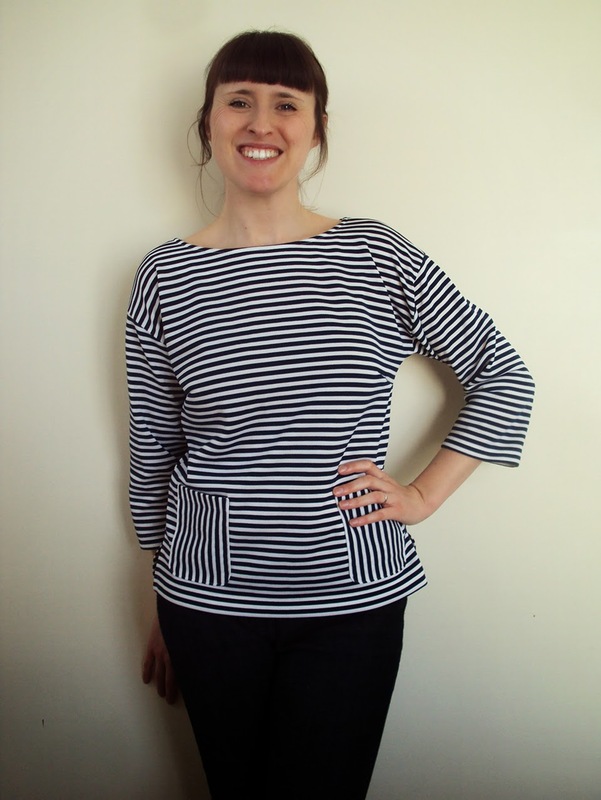 Check out: My personal favourites are the excellent unisex crew neck sweatshirt (pictured above) and the darling flutter sleeve tunic (pictured at the top of the post). 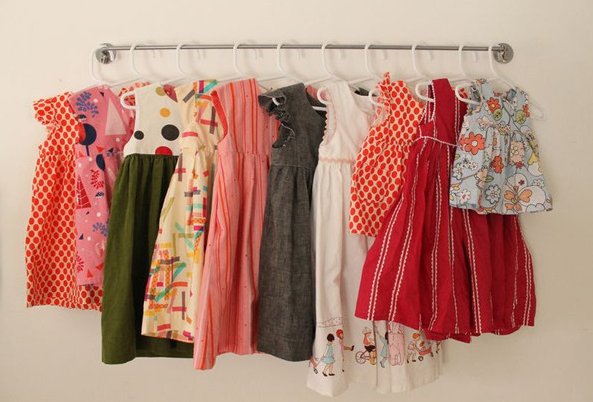 This small but perfectly formed selection of patterns is predominantly for girls and I literally want to buy them ALL. Also one of the few children's sewing pattern companies not to include 'and' or '&' in their name. Fact. 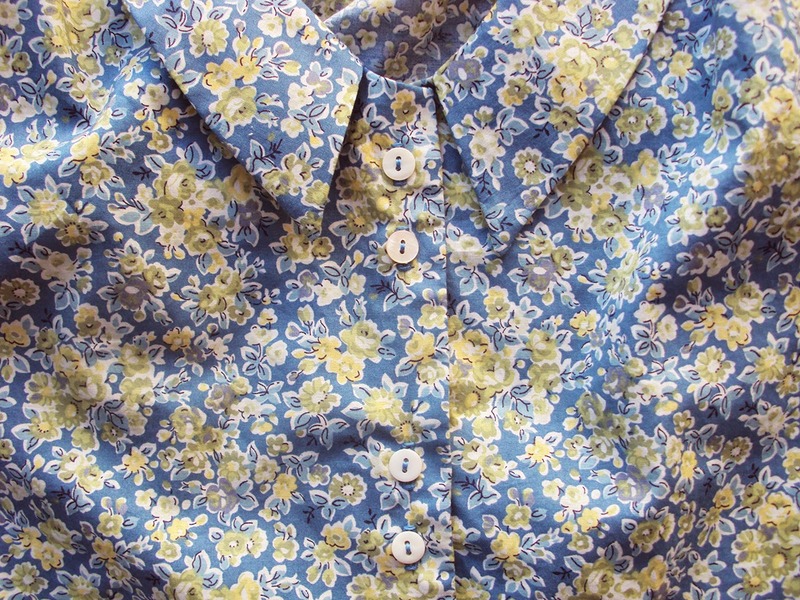 Their strength lays in the potential for awesome fabric combinations and bold button usage. Check out: The Louisa dress pattern, which if Pinterest is to be believed simply cannot be made into a bad version (I've already snaffled it up). 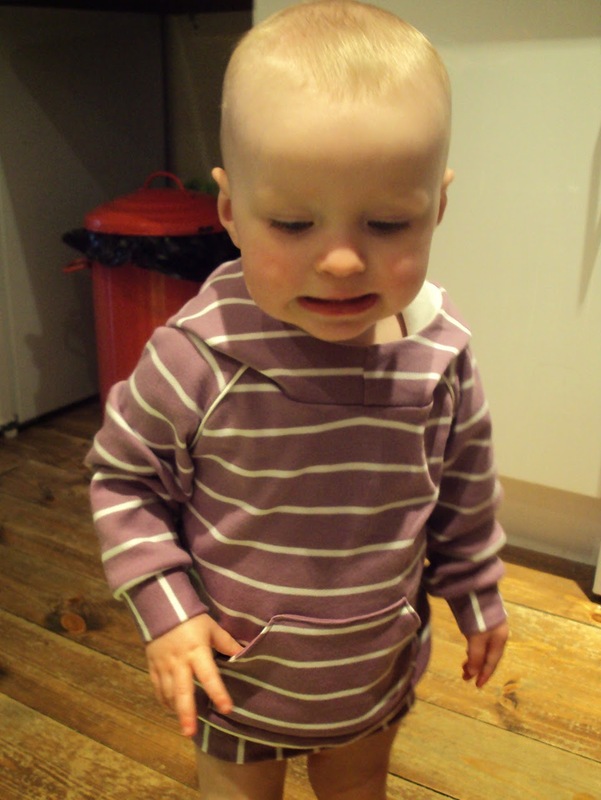 Also the amazing unisex Charles pants/shorts/dungarees pattern pictured above. These are some pretty hip but wearable patterns here, all modelled (as most are, let's be honest) by the designer's own kids. I nearly wrote 'kiddos' then. I have never actually said 'kiddo' out loud in real life. I've clearly been spending too much time reading children's sewing blogs lately. 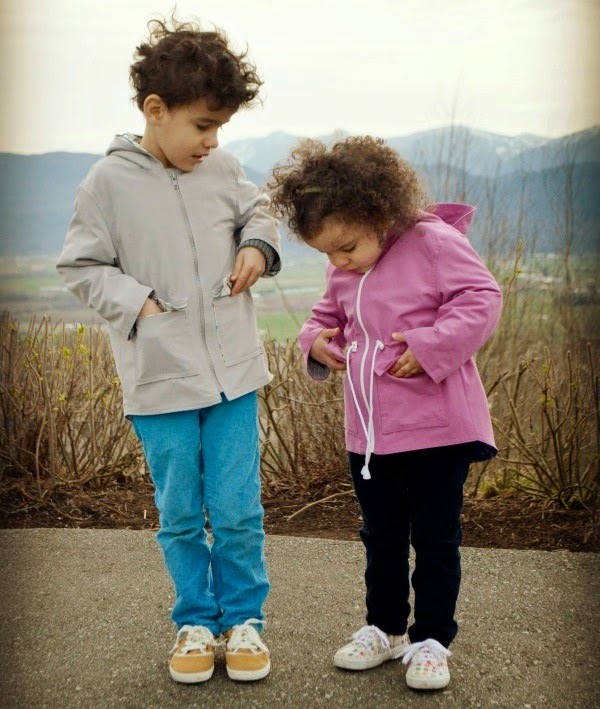 Check out: The rather excellent unisex Spring Showers jacket pattern (pictured above). The Bubble Pocket Shorts pattern is also all kinds of amazing! I am not cool enough for Figgy's patterns. If they were made in adult sizes I would not be allowed to sew them, I'd look like I'd stolen someone else's clothes because they are far too contemporary. Figgy's are available as PDF's AND as actual paper patterns from actual shops. Each non-virtual pattern pack contains a sweet little woven label that you can sew into your finished creation. Check out: The effortlessly chic Stellar Tunic/Dress pattern (pictured above) which is ripe for all many of wonderful contrast fabric fun. The unisex Banyan Trousers/Shorts pattern is also a winner and I'm excited to say that I own it. I'm going to wait a couple of years before I make it for Dolores though, I feel they'd suit older children better. If I'm looking slightly less than a picture of patience in the video, despite the evident cuteness of her assistance, it is because it was taken at the end of a long day full of 'helping'! So back to the pattern. I decided to monkey around with the sizing a bit. Generally I like my blouses to be quite fitted, and the style ease in the Mimi seemed quite a lot more than I'd usually go for. So to this end, even though my measurements corresponded closely to the Size 3 of the pattern, I actually traced the Size 2, and used the Size 3 for the sleeve. Generally I think this was a good tactic, however it did come out a tiny bit tighter than I expected in a couple of places, so maybe I'd make the Size 3 after all if I make this again. Oh, and I'd probably go up another size to the Size 4 for the sleeves next time as they are a wee bit tight, although that could be the crappy interfacing I used for the stiffening the facings which always seems to shrink whatever I'm fusing a little. There are some really lovely elements to this pattern and it was a really enjoyable make. I think the proportions of the gathered yoke and collar are really lovely. The only thing I felt I could add to the pattern was to make a different configuration of the buttons, which I placed in pairs for a little extra interest. Hmm, so I'm not really sure this fabric is 'me', and my personal jury is still out on this subject. It's an undeniable pretty ditsy floral Liberty or faux-Liberty (I'm not sure, I didn't buy it) print cotton lawn that has been lurking in my stash for an age. Just as Karen wrote in the awesome Liberty Tana Lawn edition of her fabric Focus series, it feels wonderful to both work with AND wear. I cannot wait for warmer months to wear this regularly and enjoy that experience! I'm actually surprised by how much I like this blouse despite the 'un-me' fabric. I think the fabric a good pairing with this sewing pattern, and that is what is winning me over. As Tilly writes in the book, the Mimi blouse looks great with skinny jeans, which is pretty much my uniform at the moment.